i'm talking bout the thing the dentists use. i'm not afraid of that sound by the way. if the hole in my tooth is too deep. been there for all my fillings. i have some serious dental problem. juz found out that he has a very cute son!!!! i mean the normal ones. not those that cut ppl open. went to visit my grandpa after i dunno how many months. the last time i saw him should be during CNY. but still as strong as a bull. 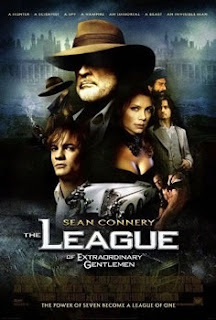 watched the League of Extraordinary Gentlemen (LXG) juz now. still love it after i watch it again and again. it's a very cool action film that combines a few classical novels. should find this film and watch it. a guy asked his best friend how does he keep a happy marriage? "it's simple, i married my best friend." i guess i really do wanna be married to my best friend. there must be a reason that we're best friend right? and the guy would know me well enough to become my best friend. i dun think any of my guy best friends would want to marry me. Btw, happened to be around here and nice to meet u ! Good to be here..staytune n followed your blog too.